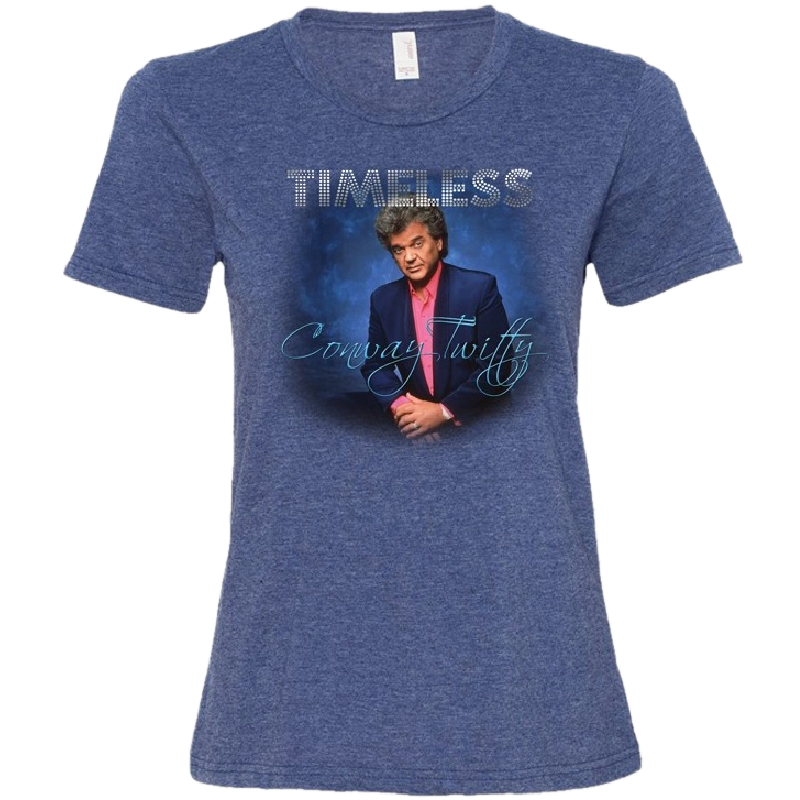 This is a ladies 4.5 oz., 100% combed ringspun cotton heather blue tee. Timeless album cover photo on the front. 17-1/4" 19-1/4" 21-1/4" 23-1/4" 25-1/4"